Temps have been SUPER hot and the family is always looking for a place to chill out and cool down. Whenever we're in Fort Smith, Arkansas we dive into Parrot Island Waterpark. 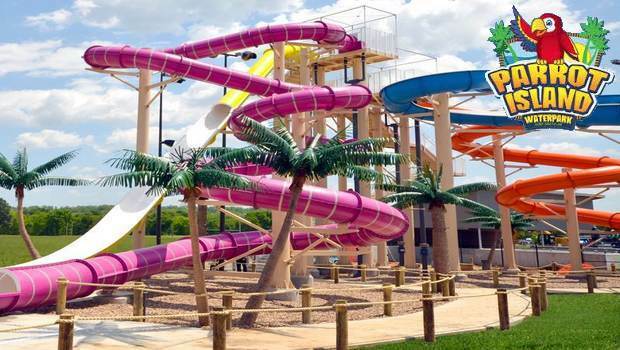 Parrot Island Waterpark has lots of fun slides and even an area for the little ones and Summer is a great time to visit! Thursdays from 8 - 9:30 AM is Tiny Tot Time! and kids get in for only $5! Parrot Island Waterpark - a perfect summer destination for the entire family. Season passes available now! Day passes are also available! Make this the #BestSummerEver! $5 off Admission - Receive $5 off admission with code FAMILY. Not to be combined with any other offers. 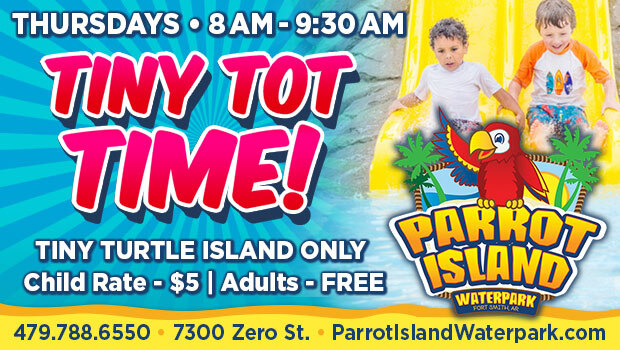 For any questions, call us at 479-788-6550, Monday-Friday from 9:00 a.m. to 5:00 p.m. Visit parrotislandwaterpark.com for more information. What are some of your family's favorite places to chill during the hot days of Summer?